A new trailer for for the upcoming film The Best of Enemies has just been released. This film should not be confused with Best of Enemies, which is an unrelated movie about Gore Vidal. Robin Bissell is the film’s director, and writing credit for the film is being given to both him and Osha Gray Davidson, who is the author of the book, The Best of Enemies: Race and Redemption in the New South, which the film is based on. 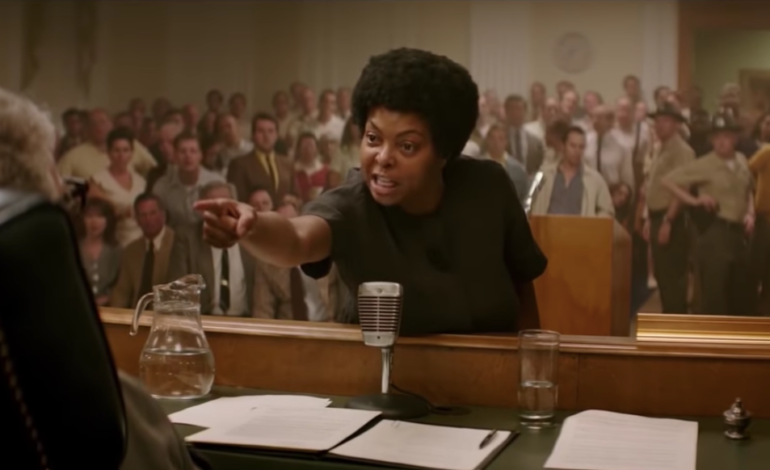 Like the book, the film is based on the true story of Ann Atwater, who is being played by Taraji P. Henson, and her unusual relationship with C.P. Ellis, played by actor Sam Rockwell. Ann Atwater was a civil rights activist from North Carolina, and C.P. Ellis was at one time an a high ranking member of the Klu Klux Klan, called an Exalted Cyclops. In 1971 Atwater and Ellis were forced to work together to help the schools of North Carolina desegregate. Initially they were the worst of enemies, but eventually a strange friendship between the two started to develop. Ellis even quit the Klan and became a supporter of civil rights. The film will be released by STX Studios on April 5, 2019.